Interest in urban composting techniques is on the rise! 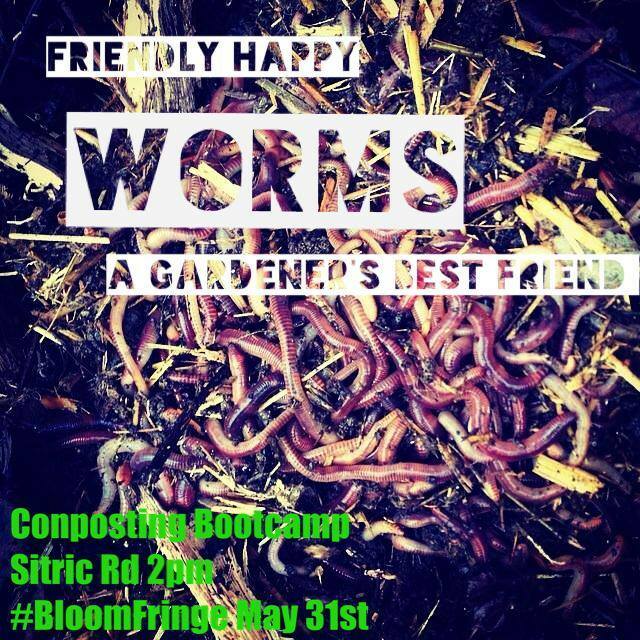 In the early years we confined our composting demonstrations at the Sitric Compost Garden to the days of our street events (the Sitric Picnic/Soup) or to specially arranged one to one sessions. Over the years interest in urban composting has increased significantly and we feel our enthusiasm for the subject is partly responsible for the composting revolution that is taken hold in Dublin! 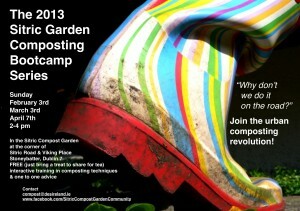 In response to popular demand we now organise PUBLIC Composting Bootcamps during the spring and summer months. 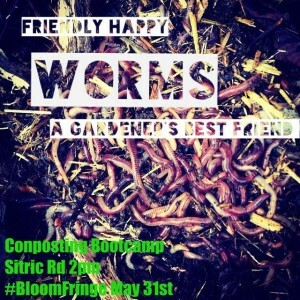 These events serve two purposes: they provide general information and one to one counselling to individuals who want to set up composting at their own home or site (community garden, local park, work place, etc) and we also educate local residents on how to use and maintain our composting facility at the Sitric Garden. Over the years we have had problems with residents unwittingly misusing our composting units simply because they are not aware of composting basics. We hope our Composting Bootcamp sessions will bring everyone up to speed with how to work with natural systems and create rich organic fertilizer for FREE from their own kitchen waste, prevening this valuable commodity from being thrown into landfill where it creates the dangerous green house gas Methane. Pound for pound the comparative impact of Methane on climate change is over 20 times greater than CO2 over a 100-year period. Join the urban composting revolution! 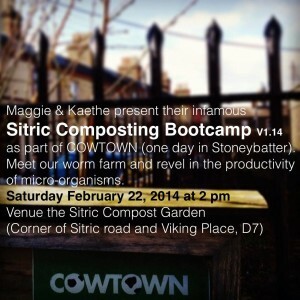 IMPORTANT NOTICE The objective of the Sitric Compost Garden is to PROMOTE urban composting. WE ARE NOT A COMPOSTING SERVICE! Our composting units are only open for use by active members who participate in maintaining the site. If you are interested in helping we would love to hear from you. Please contact us! Interactive training in urban composting techniques and one to one advice with Mastercomposters Kaethe & Maggie.